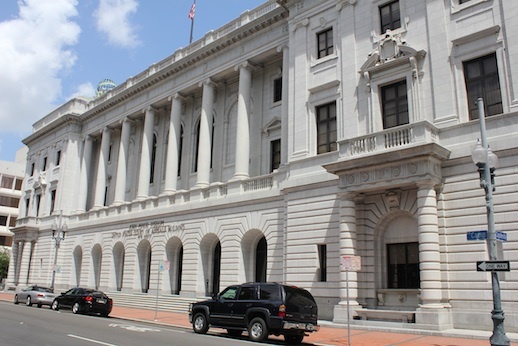 The U.S Fifth Circuit Court of Appeals in New Orleans has ruled that Texas CAN enforce a new law that cuts off taxpayer funding of Planned Parenthood, an abortion provider. This has been a roller coaster ride for Texas. Soon after Texas passed the new law last year, Planned Parenthood sued. President Obama also responded by threatening to terminate funding for women's health services in Texas in response to Texas refusing to fund Abortion Providers like Planned Parenthood as part of the Texas Women's Health Service Program. A liberal activist judge ruled that Texas cannot enforce the new law. Texas Attorney General Greg Abbott appealed this decision. The Fifth Circuit ruled that Texas can enforce the law pending the outcome of the appeal. Well, Planned Parenthood tried to get the law tossed out again but ONCE AGAIN TEXAS WON TAXPAYERS WON. The Fifth Circuit ruled that Texas can continue banning funds to Planned Parenthood pending an October trial. This law seemed like a no-brainer right? How can the government be FORCED to fund abortions? How can the taxpayers be FORCED to fund something that they do not want to fund. Has America gone so far down the wrong path that some liberal, who does not get their way in an election or when a bill is passed, can just sue and get a judge to create law or determine where taxpayer money should go? Well, in many cases, the answer is yes, American is heading in the wrong direction and there are cases every day where some liberal is trying to force their view on people via the courts. Heck, over in New Mexico, a Christian Photographer is being FORCED by the government to render services and take pictures at a private gay marriage event that the photographer does not believe in and does not want to take pictures of. Thankfully this case turned out good for the taxpayers, for unborn children and for America. Planned Parenthood was told that they cannot just get the courts to force the state to fund abortion providers with taxpayer dollars. This is not only a fight going on here in Texas. This is also a fight going on in the national arena. It was not that long ago that Obama and the Democrats were going to withhold pay from soldiers fighting in Iraq and Afghanistan unless congress and Republicans agreed to continue giving millions of taxpayer dollars to fund abortion provider Planned Parenthood. In the last year, there have been other interesting Planned Parenthood embarrassments here in Texas. Planned Parenthood of Houston and Southeast Texas is currently facing a lawsuit that exposes millions of dollars that Planned Parenthood has defrauded the taxpayers of. Texas Planned Parenthood CEO Arrested & Charged with Indecent Exposure in Lubbock, TX.